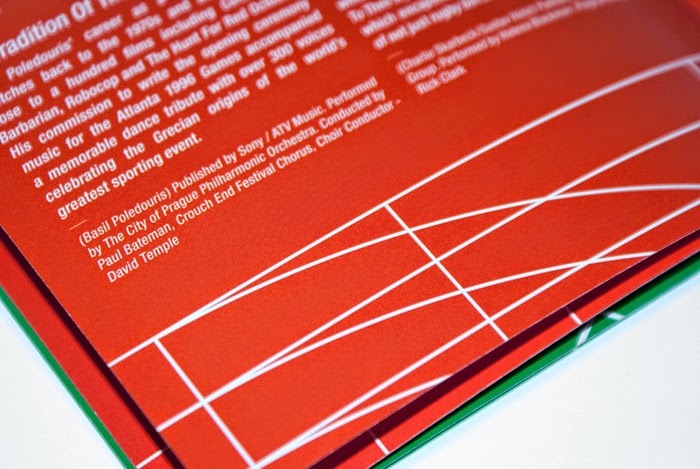 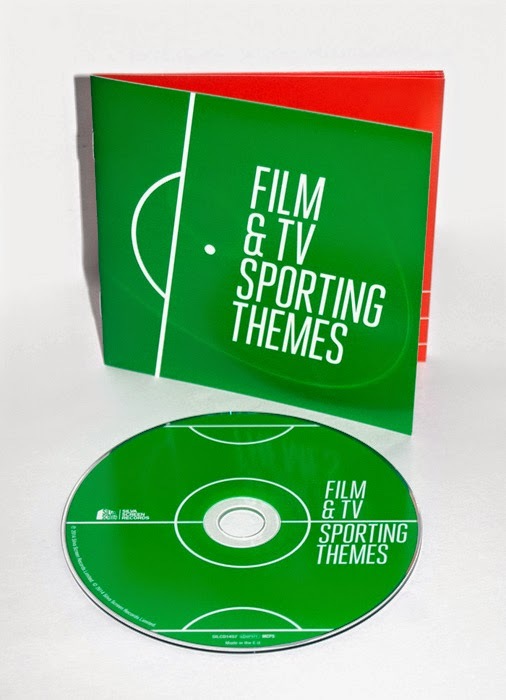 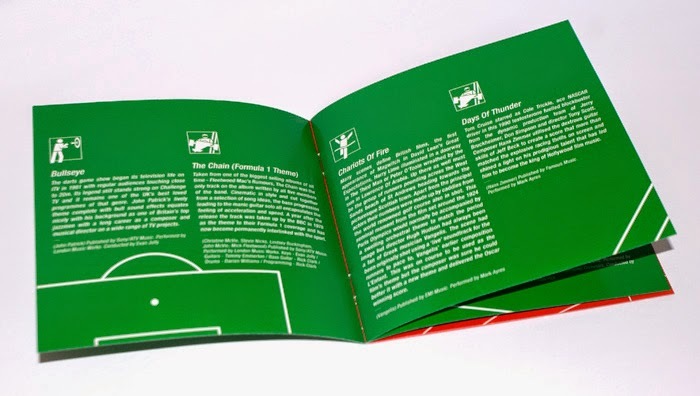 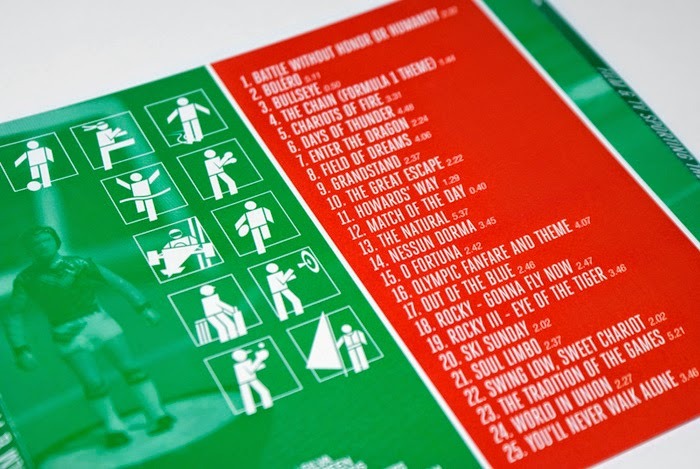 Film & TV Sporting Themes album design. 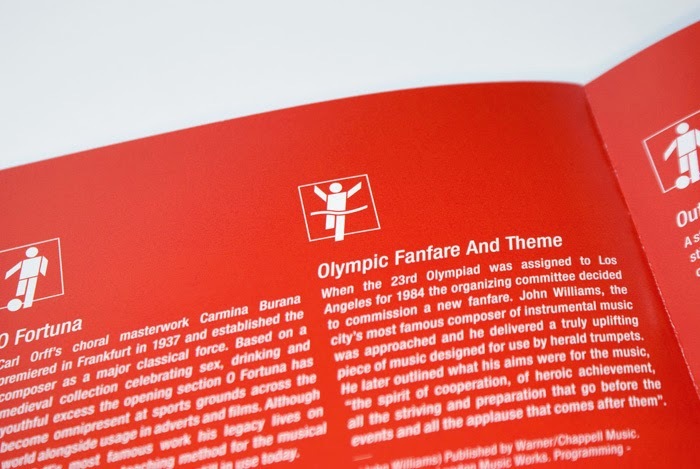 For this release I took inspiration from classic Olympic Games design, more specifically a nod towards Otl Aicher's work on the 1972 Munich Olympics. 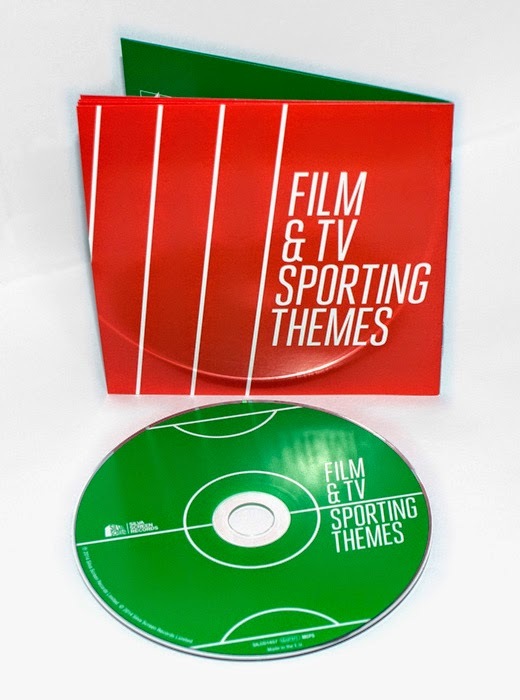 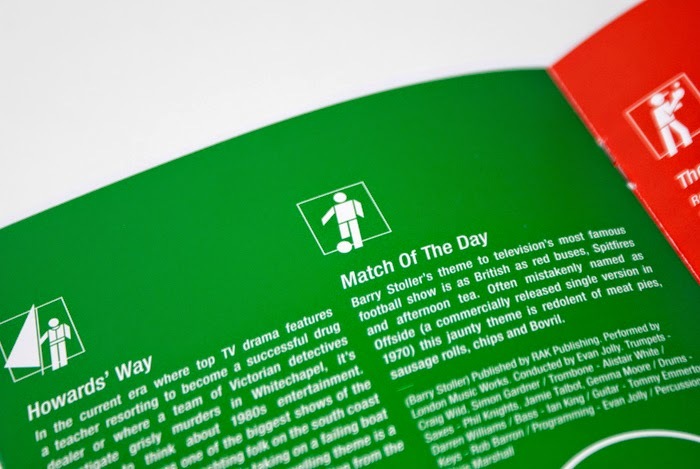 Designing my own pictograms to represent the sporting themes included on this album, using a vibrant but limited colour palette throughout to create split visuals between track and field sports, and with the use of geometric lines found on the grass pitches or astro turfs of these events to give the layout a modernist, graphical feel to it. 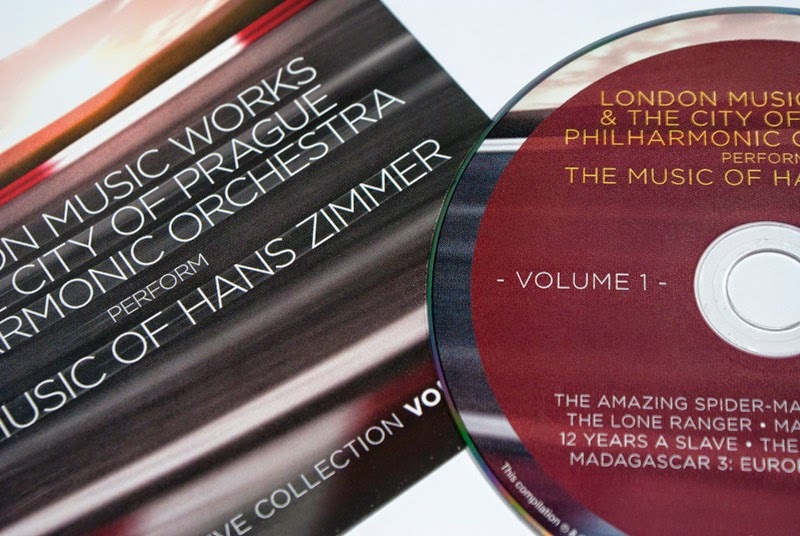 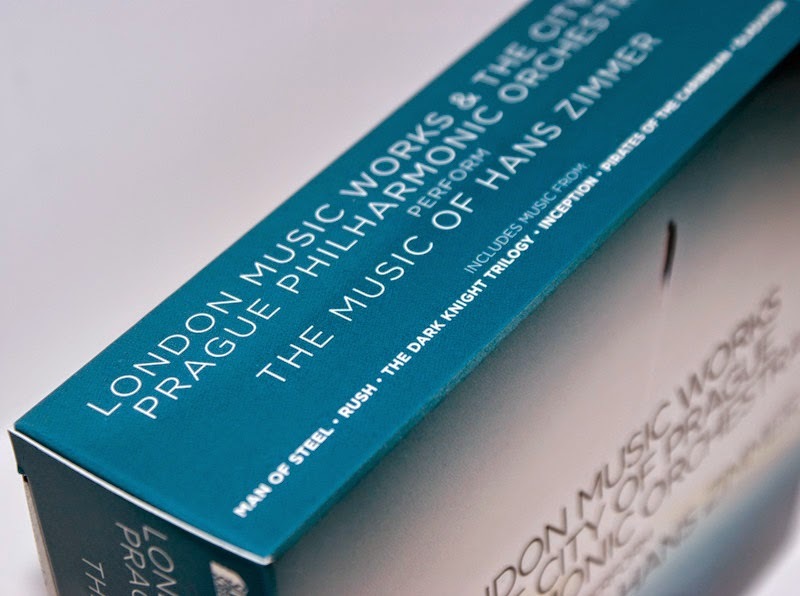 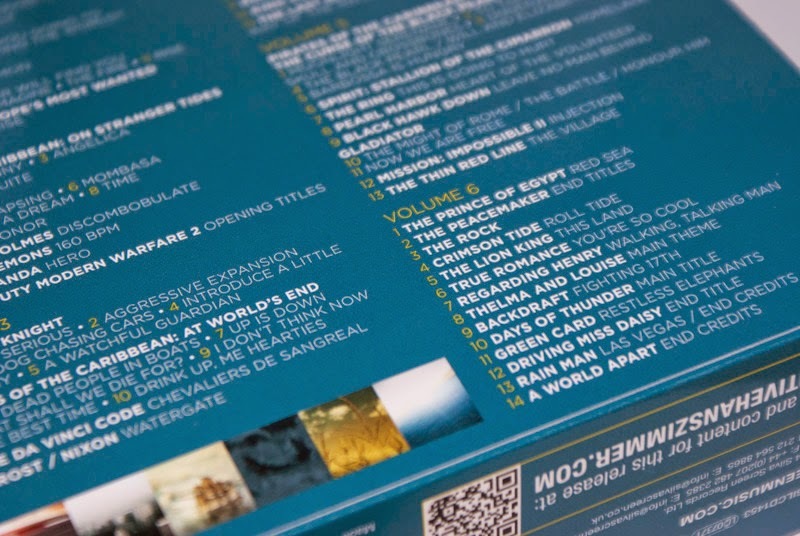 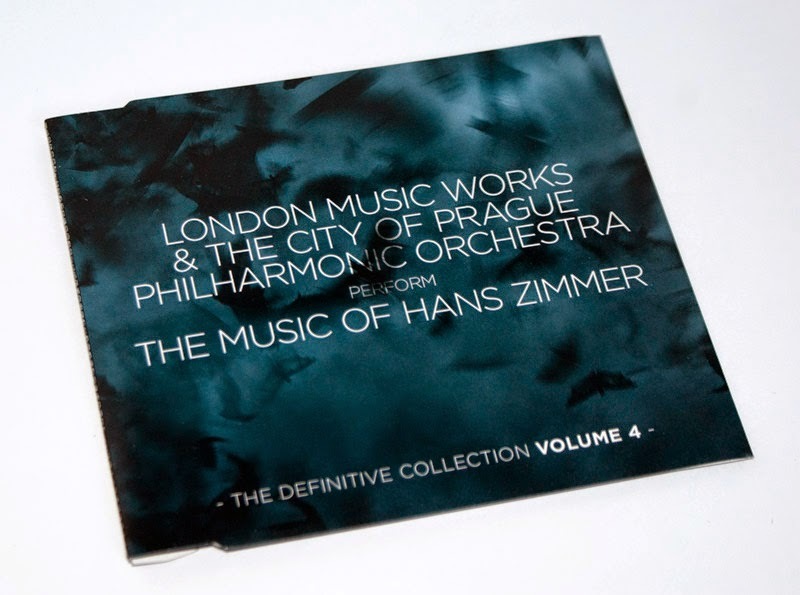 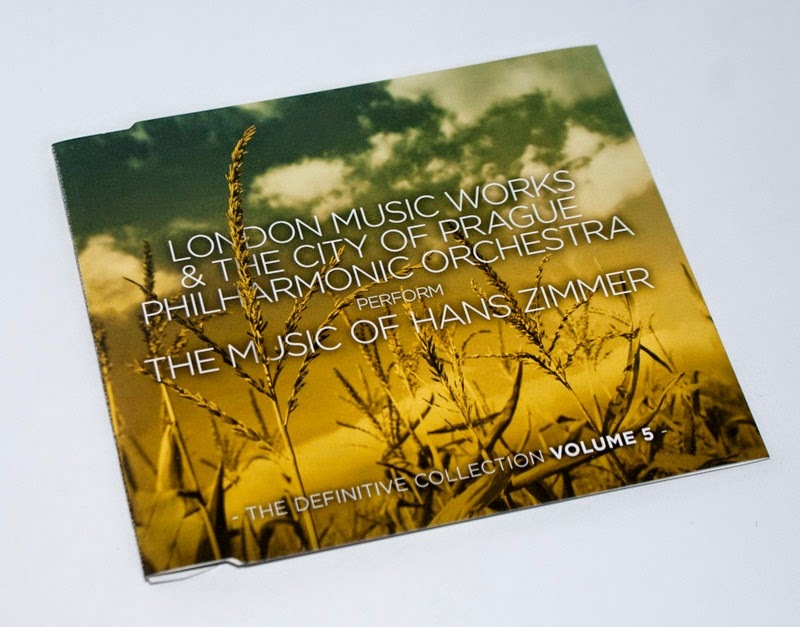 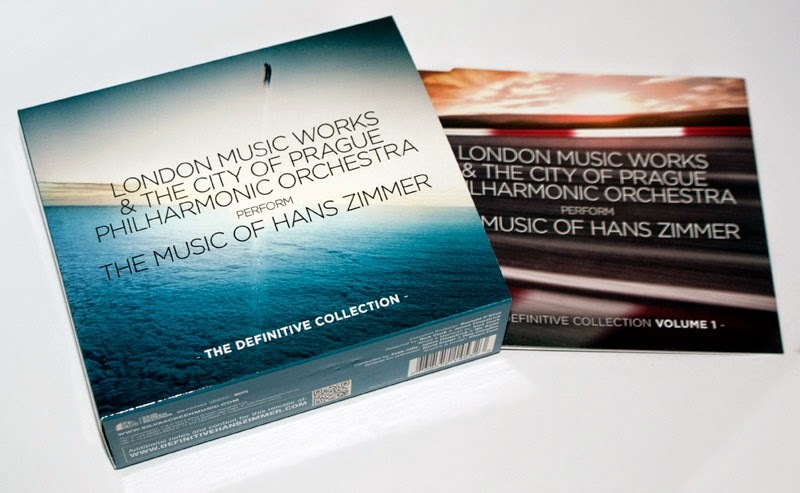 Unlike the Film Music of Hans Zimmer Volume 2, this box set required more than one main image to represent the films featured in the compilation. 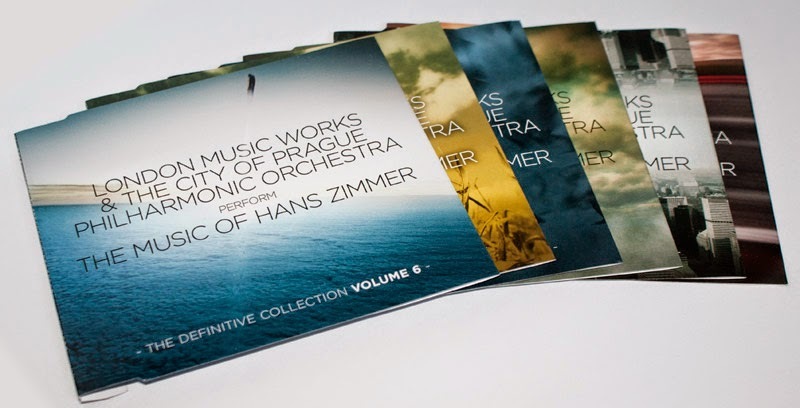 I wanted all 6 discs to have their own cover, each representing a milestone film that Zimmer's music is most associated with. 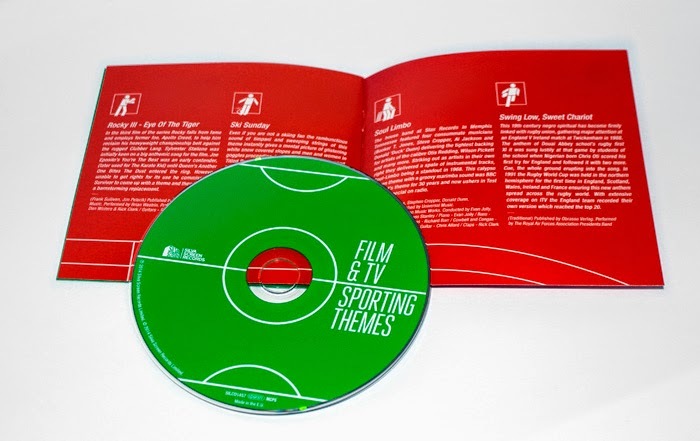 I wanted them to look cinematic, to capture the essence of the movies and appeal to the worlds and scenes in which they are set. 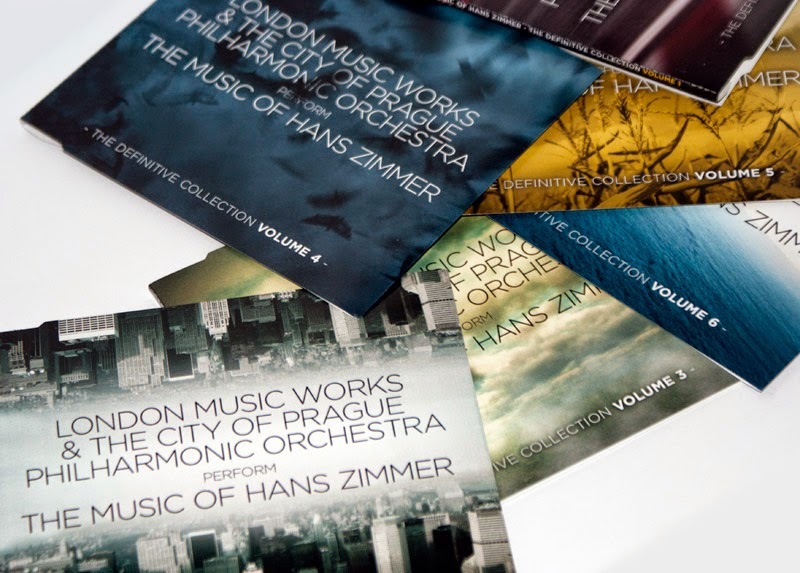 And I also wanted these covers to work as a series, to look as though they belonged together as part of the collection. 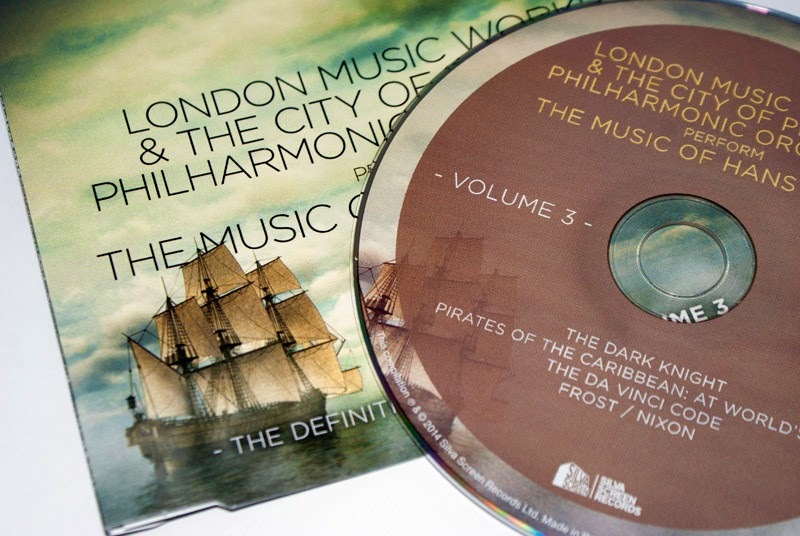 Difficult, as the The Dark Knight doesn't really match the era of Gladiator or the quirky mood of Pirates! 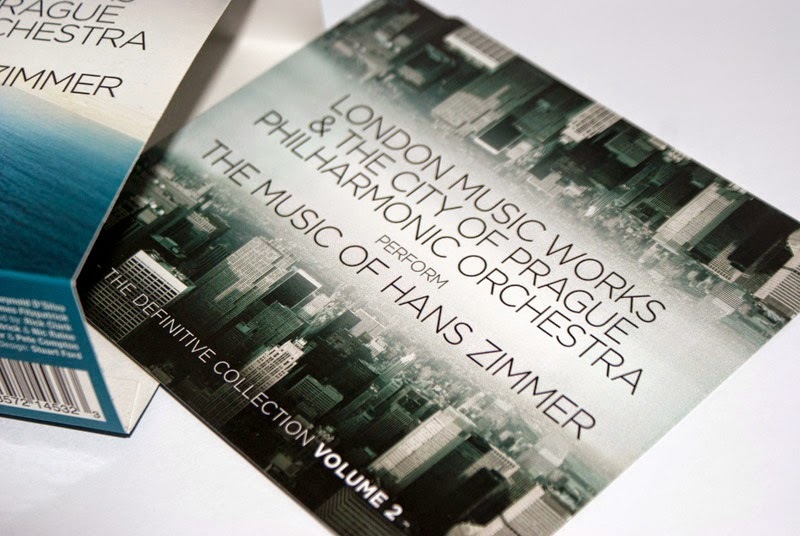 The thread, I decided, would be the habitats and landscapes that the film scores occupy; the stratosphere of Man of Steel, the turbulent race tracks of Rush, the folding cityscapes of Inception, the high seas of Pirates of the Caribbean series, the nocturnal nightmares of The Dark Knight Trilogy and the reflective wheat fields of Gladiator.